Craig Foundation helps family prepare for new reality after accident robs cyclist of the ability to use his legs. 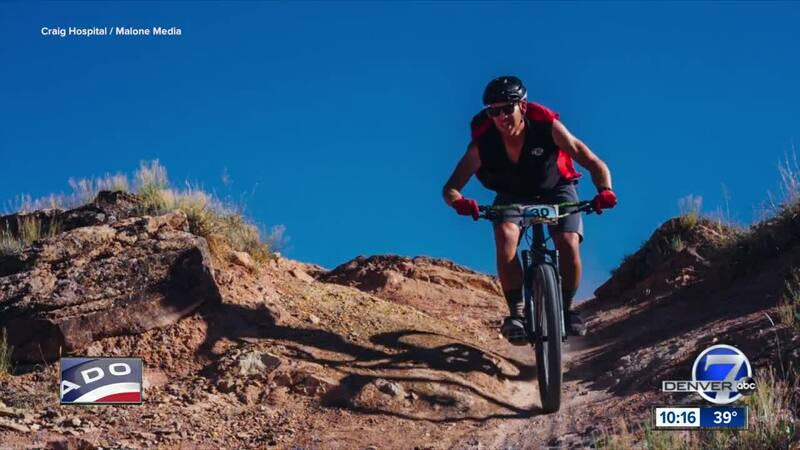 GRAND JUNCTION, Colo. – On Colorado’s mountain bike trails, Danny Soller is known for being aggressive. In fact, he has his nickname, Danimal, tattooed on his arm. Last October, that quest for adventure took Danny and his buddy Joel to Crested Butte on the closing day of the summer season. It was near the end of the day when they took a jump not knowing that a tree had fallen in the path. Danny hit it straight on with his chest. Whitney Hughes said she remembers the moment doctors told her and Danny’s family that her boyfriend was paralyzed. Six months later, Danny still has that spirit. Danny and Whitney now live in his parents' house which was made accessible for his wheelchair – something that doesn’t happen cheaply. “Everything in this whole process costs money,” Danny said. The Craig Foundation worked with the family on planning the renovations and even helped with some of the costs. “There’s enough going on with injuries like this, so many changes to life, it’s awesome for Craig to have a foundation, to have funds available to cover things that would usually be an afterthought,” Danny said. The Craig Foundation also helped cover the cost of housing and food when Whitney and her son would travel to Denver to visit Danny and learn what they needed to know to help him when he returned home. Six months after his accident, Danny is already back on the bike trails in Grand Junction. He has no plans to give up living his life of adventure.